Are you a homeowner facing foreclosure? You may feel helpless and frightened, uncertain about what your financial future holds. This is a situation that more and more Americans are finding themselves in due to the state of the economy. Fortunately, you can find relief in the form of a foreclosure defense attorney. We provide foreclosure defense in Florida, Illinois, New Jersey and New York and Pennsylvania. At Amerihope Alliance Legal Services, we understand how to defend foreclosure and get the best possible results. It is our goal to provide you with the legal counsel that will aid you to stop foreclosure or that will offer you the best chance at a brighter financial future. When you work with a foreclosure defense attorney at our firm, you have the backing of years of experience and knowledge regarding mortgage law and foreclosures. How does mediation (or conciliation) affect the foreclosure process? As a foreclosure defense attorney, Gregory M. Nordt, Esq., relies upon a combination of legal tools, tactics and transactions to help resolve your financial crisis. Foreclosure defense may include asserting your rights under state law, federal law, the bankruptcy code, or even the tax code. Stopping foreclosure may include direct negotiations seeking a voluntary loan modification with your lender. "Short sales" or a deed in lieu of foreclosure may be utilized as an alternative to foreclosure and to protect your credit rating. Each situation is unique and deserves individual consideration. The first step of our Foreclosure Intervention Program is to provide you with a FREE CONSULTATION by telephone. During this consultation, our staff will gather important information regarding the current status of your existing mortgage and/or foreclosure proceedings. The purpose of this FREE CONSULTATION is for our professionals to gain an understanding of your individual situation in order to determine if we can help you. We will not waste your time or give you false hope. Our experienced professionals will give you honest answers. Upon completion of this comprehensive evaluation, our staff of professionals will consult with you regarding the best foreclosure alternatives to pursue on your behalf, which are described below. The following is a summary of foreclosure alternatives and solutions employed by Amerihope Alliance Legal Services. Our professionals may be able to negotiate a REINSTATEMENT of your mortgage to good standing. This would involve payment of the total amounts that are currently due to the mortgage servicer/lender. The amount necessary for a REINSTATEMENT may be substantial, as it will include the total amount of all past due mortgage payments, late fees and legal fees that the mortgage servicer/lender has incurred in connection with the foreclosure of your home. Upon the REINSTATEMENT, your mortgage would continue in force based upon its existing terms. A REINSTATEMENT does not change your existing mortgage terms. This alternative would require you to have the financial resources to make this payment which would bring the loan to current status. There is no restriction on the source of funds to make this payment. You can borrow the money, sell assets, etc. Unfortunately, while this is generally a fast and effective method to stop a foreclosure, most borrower in foreclosure do not have the financial resources available to employ this workout alternative. Our professionals may be able to negotiate a REPAYMENT PLAN to resolve your foreclosure. This foreclosure workout alternative enables the borrower to repay the past due amounts over a period of time (generally up to two years). The total amount past due would be structured into equal monthly installments and this extra amount would be added to the existing normal monthly mortgage payment until it is fully paid. This foreclosure solution often works well for borrower who have experienced a temporary financial setback, (such as a loss of employment or a short-term medical disability), but whose financial situation has returned to normal. Like most foreclosure workout alternatives, borrower must QUALIFY for a REPAYMENT PLAN. 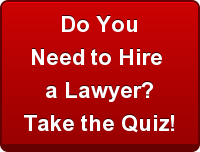 Amerihope Alliance Legal Services has extensive experience with the Qualification Process. A SHORT SALE involves the sale of your home at a price that is less than the total amount that you owe on your existing mortgage(s). Similar to a pre-foreclosure sale, this workout alternative may be an appropriate solution for you because you either cannot afford to keep your home or you CHOOSE not to keep your home. A SHORT SALE is a complicated, but worthwhile, workout alternative. The mortgage lender/servicer agrees to accept less than the full amount of the outstanding balance due from you as payment in full. They would also agree not to pursue you for any losses that they may sustain. In the event that there is a first mortgage AND a second mortgage on your home, approval from BOTH the first mortgage lender/servicer and the second mortgage lender/servicer would have to be obtained to effect a SHORT SALE transaction. A successful SHORT SALE transaction will enable you to sell your home and relieve you from having any further financial obligations on your existing mortgage(s). This workout alternative may also limit the damage to your credit history. Negotiating a SHORT SALE with the lender is a difficult process, generally because it is a daunting task to find a bank officer who has the authority to accept a discount. We contact the lender’s “Loss Mitigation Department.” The process often involves waiting on hold and being bounced around an intricate maze of automated voice mail systems. Our expertise allows us the opporunity to reach the right person. The negotiating then begins. From the lender’s perspective, a SHORT SALE saves many of the costs associated with the foreclosure process - - attorney's fees, the eviction process, delays from borrower bankruptcy, damage to the property, costs associated with resale, etc. In a SHORT SALE scenario, the lender receives cash flow faster, enabling them to cut their losses. Our job is to convince the lender that they will fare better by accepting less money now than going through the foreclosure process. The lender will requireinformation about the property and the borrower. Specifically, the lender wants to know what the property is worth. The lender will generally hire a local real estate broker or appraiser to evaluate the property (a broker’s price opinion or “BPO”). We can submit our own appraisal or comparable sales information. In addition we will want to offer as much specific truthful negative information about the property as possible. Also, we can include some relevant information about the neighborhood and the local economy, if declining. A contractor's bid for repair estimates should also be submitted. The lender will also ask for financial information about the borrower -- sort of a backwards loan application. The borrower must prove that he/she is in financial difficulty and unable to afford the payments. The borrower must show that he/she has no other source of income or assets to repay the loan. The borrower should submit a “hardship letter” which describes how much financial trouble the he/she is in. Finally, the lender generally wants to see a written contract between the buyer and the seller. The lender wants to make sure the seller isn’t walking away with any cash from the deal. Generally, the contract must be written so that the buyer pays all costs associated with the transaction, so that the “net cash” to the seller is the exact amount of the short pay to the lender. A preliminary HUD-1 settlement statement is often requested. The process of the SHORT SALE is not extremely complicated, but the success or failure of the deal depends upon how it is presented it to the lender. Many novice investors and realtors quickly abandon their short sales if their deal is rejected. Like any business, SHORT SALE success takes practice and experience. Generally speaking, loss mitigators are pretty good at spotting an amateur investor. If you know what you are doing, the loss mitigators are more likely to make a deal with you and that's where Amerihope Alliance Legal Services will help you succeed. Amerihope Alliance Legal Services will negotiate with your first mortgage lender/servicer and any second mortgage lender/servicer to obtain approval of a SHORT SALE transaction for your benefit. This process would include extensive negotiations with your mortgage lender/servicer, including a comprehensive presentation of the advantages that a SHORT SALE would have for your mortgage lender/servicer instead of foreclosing on your home in order to persuade them to agree to a SHORT SALE transaction. A DEED-IN-LIEU OF FORECLOSURE would involve our professional staff's negotiations with your mortgage lender/servicer to obtain a complete release from your existing mortgage debts in exchange for your agreement to surrender the home to the mortgage lender/servicer. This foreclosure workout alternative would enable you to avoid the unpleasant and time-consuming collection and legal process and would protect your current and future assets from pursuit by the mortgage lender/servicer for any losses that they may suffer if the ultimate sale of your home does not satisfy the outstanding balances of your existing mortgage. In effect, you are able to move out and move on. While this workout alternative will appear as a derogatory item in your credit report, it may be less damaging to your credit profile than a foreclosure. If you have an FHA-insured mortgage, our professional staff may be able to negotiate with your mortgage lender/servicer for an FHA PARTIAL CLAIM. This workout alternative is only available to borrowers who have FHA loans. Under the FHA PARTIAL CLAIM option, the mortgage lender/servicer will advance funds on behalf of the homeowner in an amount necessary to reinstate their delinquent loan (up to an amount not to exceed the equivalent of twelve months of mortgage payments, including principal, interest, taxes and insurance). In connection with this process, you would execute a non-interest bearing promissory note and an additional mortgage that will be subordinate to the existing mortgage(s), however, the homeowner will not be required to make any payments until such time as they either pay off the existing mortgage or they no longer own the property (whichever comes first). Similar to all other workout alternatives, there are specific criteria that must be met and borrowers must QUALIFY for an FHA PARTIAL CLAIM. The staff of Amerihope Alliance Legal Services will discuss the details of this option with those that have an FHA-insured mortgage. A LOAN REFINANCE is another option that our professional staff may explore for you. The fact that you have been delinquent on your current mortgage may not necessarily prevent you from being able to REFINANCE the loan. Available loan programs may include FHA, non-prime, and hard equity mortgages. You would need to QUALIFY for a REFINANCE, which would involve an analysis of the value of your home, a review of your personal finances, a review of your consumer credit report, and an evaluation of the circumstances that led to your mortgage delinquency. Amerihope Alliance Legal Services's staff of professionals can determine if a REFINANCE is a feasible solution for your specific situation. A PRE-FORECLOSURE SALE involves the sale of your home prior to the mortgage lender/servicer foreclosing on your home. This workout alternative may be an appropriate solution for you in the event that your home is worth more than the amount that you owe the mortgage lender/servicer and if none of the above workout alternatives is a feasible option for you. It may also be an option that you may desire to CHOOSE simply because you do not want to keep your home. This alternative would allow you to pay off your mortgage and receive the net proceeds from a sale, as well as potentially limiting the damage to your credit history. Amerihope Alliance Legal Services may negotiate with your lender to obtain a sufficient amount of time to enable you to sell your home. This process would involve an analysis of the realizable net value of your home, an estimated marketing time based upon the absorption rate of homes available for sale in your market area, an analysis of the payoff of your existing mortgages, and negotiation with your mortgage lender/servicer. Amerihope Alliance Legal Services will keep you informed every step of the way throughout the entire pre-foreclosure sale process. Our staff of professionals may be able to negotiate a FORBEARANCE of your foreclosure proceedings or mortgage payments. This foreclosure workout alternative will permit you to stop making mortgage payments or reduce your mortgage payments for a specified period of time that would be negotiated with your mortgage lender/servicer. During this negotiated period of time, your mortgage lender/servicer will agree to suspend collection and/or legal action against you. The purpose of a FORBEARANCE is to provide you with sufficient time to employ one of the above workout alternative solutions to resolve your mortgage foreclosure. A FORBEARANCE may also be utilized to grant you sufficient time to close on a pending sale of your home which wouldl enable you to pay off the existing mortgage.